Muslims Desecrate Graves Of Brits In Libya ! 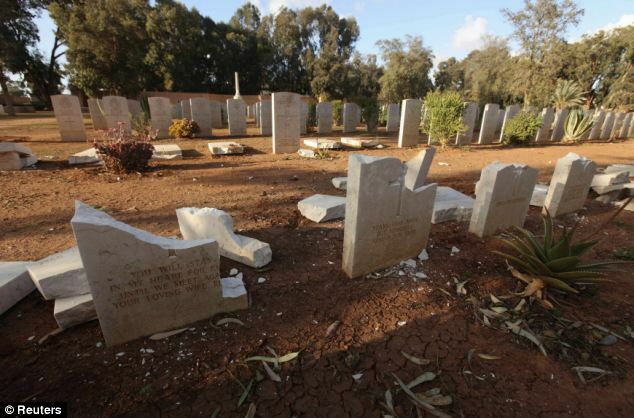 Insult to WWII heroes: Graves of British troops smashed and desecrated by Libyan Islamists in protest over U.S.
A furious mob has desecrated dozens of Commonwealth War Graves in a Libyan cemetery amid continuing fury in the Middle East over the burning of the Koran by U.S. soldiers. President Obama has apologised to President Karzai for the unintentional burning of the Korans at NATO's main Bagram air base after Afghan labourers found charred copies while collecting rubbish.